The Whole Megillah (TWM): Why write short stories vs. longer forms? Erika Dreifus (ED): For me, the question is formulated slightly differently. I’ve always wondered what, for instance, made F. Scott Fitzgerald realize that “Babylon Revisited” was meant to be a short story but that The Great Gatsby demanded a longer form. In other words: How does an author know, or intuit, which form suits the material? I’ve never quite been able to answer this question definitively. Sometimes, I’ve literally had to begin writing not knowing which form the work would ultimately take. More precisely: There have been times I’ve hoped that I might have a novel on my hands, only to discover, down the road, that the material would not budge from short-story form. TWM: Did you always have a collection in mind? ED: If I did, it was only in the back of my mind. I did not set out to write a story collection, but I certainly loved (and still love) reading them. TWM: What was your process for placing the stories in journals before the collection? ED: I followed what I think is a tried-and-true process: I researched journals to find likely matches, and I began sending the stories out. It was really that simple, and that labor-intensive. One note: The start of my immersion in the world of literary magazines and journals began around the turn of this century, which is to say before journal websites and online publications were anywhere near as omnipresent as they are today. I was lucky to have an amazing university library nearby, where I could sample virtually any journal I wanted, plus wonderful local bookstores that stocked an array of them, too. TWM: At my MFA program, instructors believed it’s best to get your arms around a short story and learn fiction writing with that first before attempting a novel. Do you agree with that? Why/why not? ED: I don’t know. For me, non-MFA classes, workshops, and conferences provided a pre-MFA training-ground where I learned fundamentals of fiction-writing, for both the story and novel forms. Just as I entered my MFA program, I’d signed with an agent who was beginning to send out my novel manuscript to editors/publishers. (That novel never sold.) I focused on writing stories in the MFA program mainly because I didn’t want to workshop the novel any further at that time, I didn’t have any ideas suggestive of a new novel, and I had deadlines coming up! I suspect that in many MFA programs, stories simply fit the workshop structure better. It’s difficult to get an entire novel workshopped in a single semester, and it can be tricky (and frustrating, for both the student writer and the critiquers) to workshop discrete novel segments beyond the opening chapter(s). I lost count of how many times my own novel’s first couple of chapters were workshopped; I’m not sure the closing chapters were ever reviewed by anyone other than the manuscript editors I hired myself. TWM: From your posts, it’s clear you read voraciously. How do you find the time for that? How important is that for your own writing? ED: It’s essential. Maybe I find the time by writing a little less? Alas, that may not be an inspiring answer. But it’s the truth. 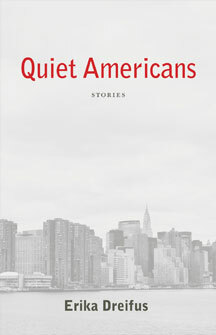 Based in New York City, Erika Dreifus is the author of Quiet Americans: Stories, which is an American Library Association Sophie Brody Medal Honor Title for outstanding achievement in Jewish literature. 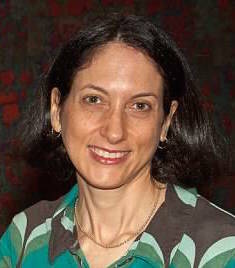 A member of the advisory board for J Journal: New Writing on Justice, she has taught for Harvard University, the Cambridge (Mass.) Center for Adult Education, and the low-residency MFA programs in creative writing at Lesley University and the Northwest Institute for Literary Arts. In August 2014, Erika joined Fig Tree Books LLC as Media Editor. This entry was posted in Authors, Uncategorized and tagged Erika Dreifus, fig tree books, quiet americans. Bookmark the permalink. Nice interview. The words, like clay, sometimes decide what they want to be. Shabbat Shalom my Brothers and Sisters to include the Jewish Nation. Oh how we all have Quiet American Stories.